During the social media overload that is Coachella, I spotted Jules, from Sincerely Jules, wearing a gorgeous light blue top. When she posted that it was from Aritzia, I was shocked - that store eludes me. I mean, what is Aritzia really? Well, I fell in love. 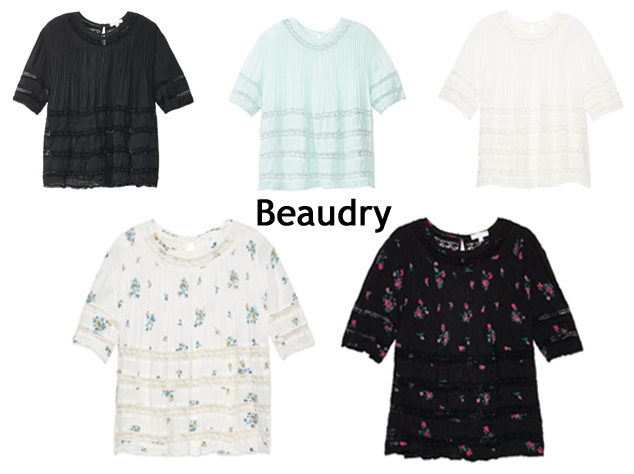 While browsing the site I discovered that the Beaudry top came in several different variations. At first I was hesitant to bite the bullet, as the blouse was a pricey $145.00 dollars. However, I was finally persuaded to purchase the Beaudry after seeing it worn by Ginnifer Goodwin in Once Upon a Time. I admit it - I'm one of those people who likes things that are popular. Is that really so horrible? The top lived up to all my expectations and I'm no longer afraid of shopping at Aritzia.